… Regency Plastics has the resources and expertise to assist with your design, engineering, tooling, and production needs. We understand the tight packaging constraints involved in your design and can help you work around the geometrical restrictions imposed by other vehicle components. That’s why OEM’s and Tier 1 suppliers across the globe partner with Regency for the development and manufacturing of their custom blow-molded HVAC duct components and assemblies. 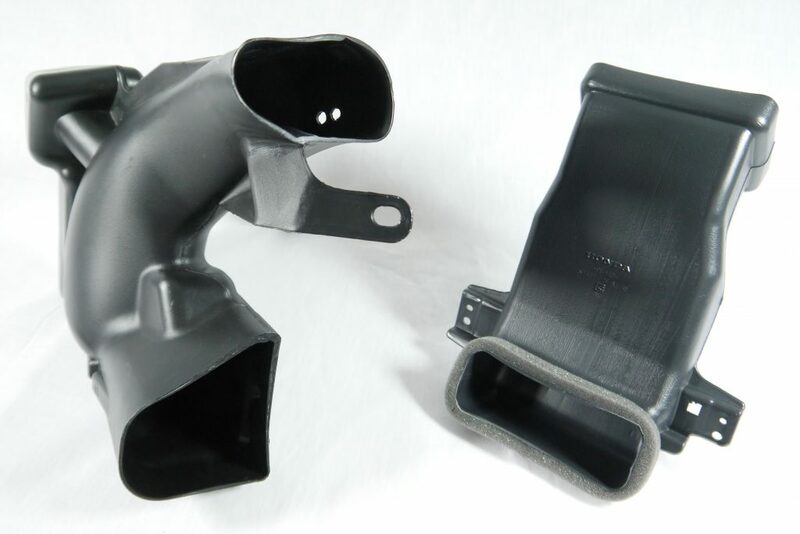 Our experience in blow molding HVAC ducts tells us the best way to drive cost out is by optimizing part design so wall thickness can be minimized. 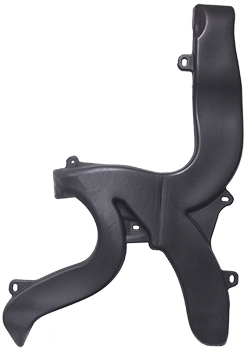 This lowers the finished part price by reducing material cost and speeding up the blow molding cycle time. To minimize wall thickness in the design phase, Regency Plastics uses a blow molding process simulator throughout development to measure and optimize localized wall thickness. This bypasses the need for prototype tooling, cuts mold cost, reduces delivery time, and decreases product development time by up to 40%. To achieve optimal wall thickness on the production line, Regency controls the thickness of the blow-mold parison as it’s extruded, thus regulating the wall thickness as it forms in a mold cavity. This process results in an average 25% reduction in part weight, 10% reduction in cycle time, and 6-8 week reduction in new part debug time. 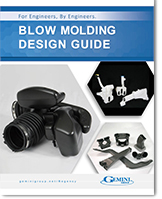 Do you want to take your blow molded HVAC component or assembly to the next level? Distinguished by a signature green and yellow color scheme, our customer is the world’s largest producer of agricultural machinery. 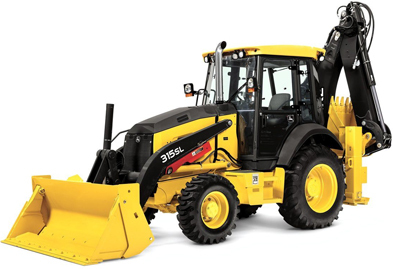 They’re also a leading original equipment manufacturer (OEM) for machinery, heavy equipment, diesel engines, and drivetrains for the construction, forestry, and lawn care industries. HVAC systems have three functions; heating, ventilation, and air conditioning. To function correctly, each component must have a certain degree of insulation to facilitate control of the air temperature. If any component is thermally inefficient, the entire system will suffer. Such was the case with the customer’s K-duct, so named because of its distinctive “k” shape, and an essential component of their product’s HVAC system. The K-duct had always been produced using the rotomolding manufacturing process, a process that doesn’t scale well. Moreover, the tooling for rotomolding is soft and needs to be refurbished and/or replaced quite often, causing repeatability issues in both manufacturing and assembly. As an alternative manufacturing process, blow molding is scalable and becomes more cost-efficient as production volumes increase. So it was a no-brainer for the customer — they had to switch to blow molding. 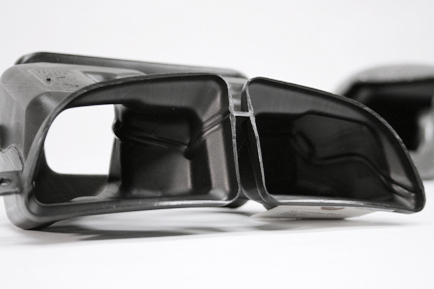 With over three decades of technical blow molding design, engineering, and manufacturing experience, Regency Plastics, a Gemini Group company, was quickly identified as a capable supplier. Their additional expertise in material selection was the icing on the cake. Equipped with Regency’s team of engineering masterminds, it wasn’t long until the customer had a solution for the insulation challenge. They would combine HDPE with a foaming agent to create an expanded foamed wall. This added thermal properties to the K-duct and, as an added bonus, created a cellular cross-section to create structural rigidity. Next, the product design was optimized for manufacturing and assembly. 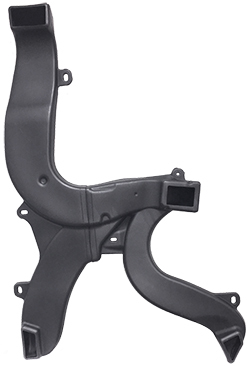 The K-duct, originally assembled from 43 different parts, would be manufactured in two pieces using a 35lb double blow molding machine, then joined using infrared (IR) welding. 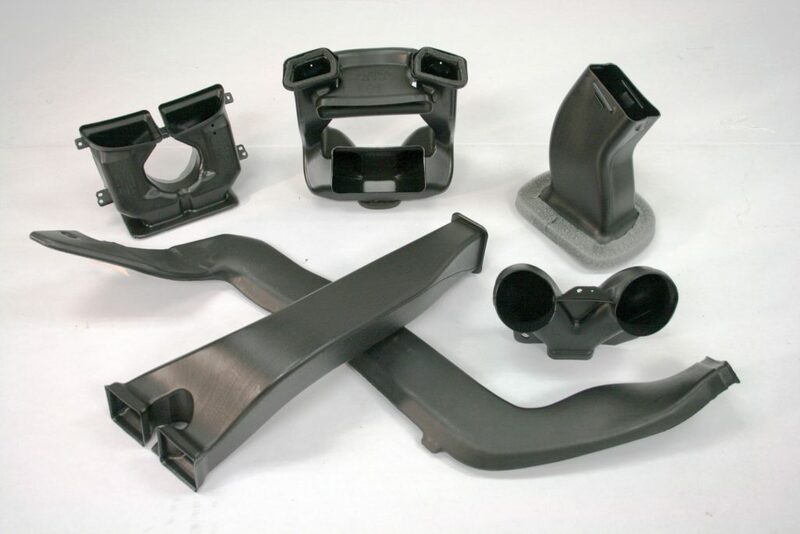 After a successful development project, the OEM was confident in choosing Regency to produce their enhanced design using the blow molding manufacturing process. They would no longer face issues with functional requirements or constrained capacity. They would no longer fear the possibility of field failure and warranty issues due to inconsistency. In the end, the customer had a part with decreased weight and cost, increased thermal properties and structural rigidity, a quicker turnaround, and increased annual volume capacity. 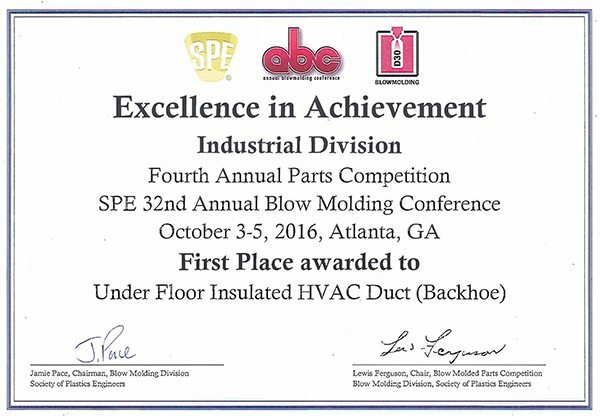 The K-Duct was also awarded two first place awards in the “Under Floor Insulated HVAC Duct” category of the SPE Annual Blow Molding Conference Parts Competition. 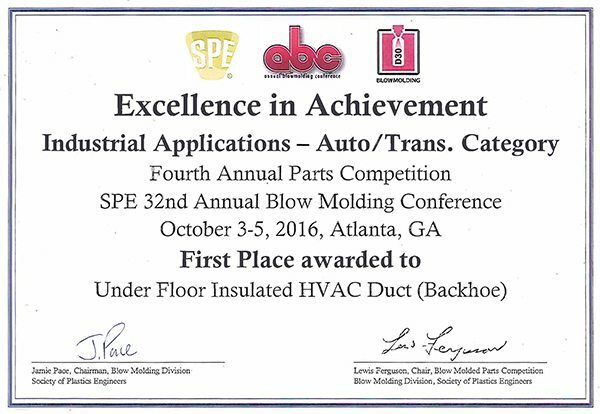 Take your blow molded HVAC duct to the next level! Send us your design to get started!